Peru was undoubtedly the trip of a lifetime for us, and it took a while to plan. Dan and I started talking about Machu Picchu as our honeymoon destination in the middle of last year, well before we got engaged. We had to figure out when to go, what level of accommodations we wanted, and what our must-sees were. 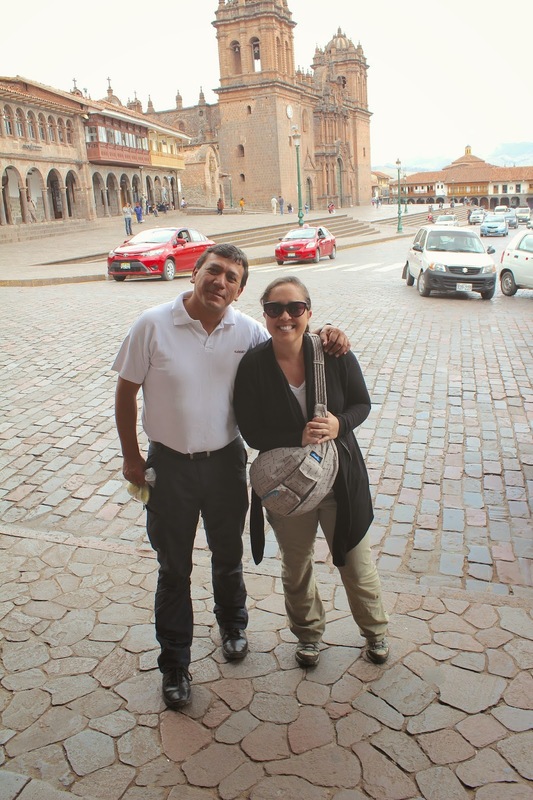 A friend of mine at work had used Kuoda Travel on his dream trip to Peru, so I decided to look into them as well. They had great reviews on TripAdvisor, so I quickly got in touch with their planners to get a leg up on planning. Itinerary, Plane Tickets, and Travel Insurance were the big three planning steps for us. 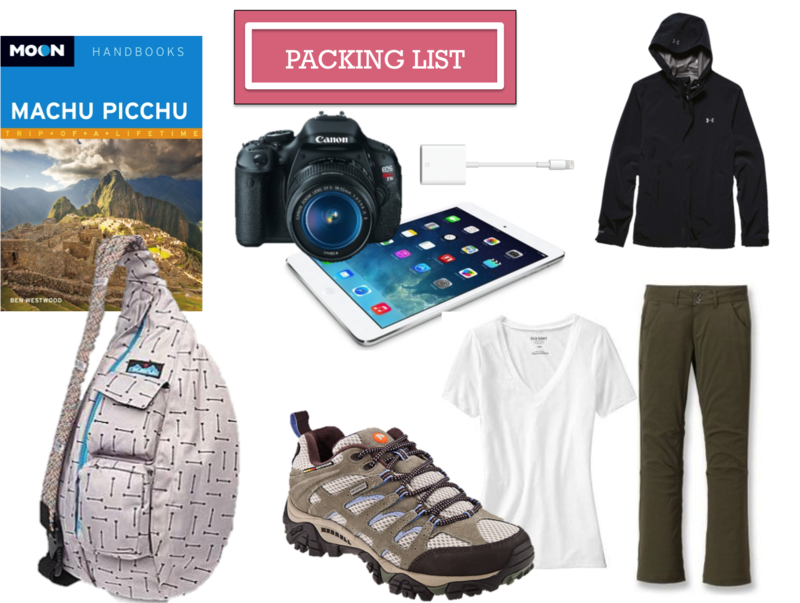 Our travel designer, Urpi, sent us an initial itinerary, based on our desire to have plenty of time at Machu Picchu to enjoy our "bucket list" item. We also wanted to be exposed to great food, culture and history, and have comfortable and safe accommodations. Urpi and I discussed the level of hotel accommodations we wanted, and she and I e-mailed back and forth for a few months around the itinerary. Peru has everything from $10/d hostels to luxury resorts upwards of $600/d! Kuoda was helpful in helping us hone in on what we wanted. By December, we were ready to commit to a trip in late March via Kuoda, which included hotel, breakfasts and some other meals, entrance tickets, in-country plane and train travel, and a private guide and driver for almost the entirety of the experience. Note: If you want to hike the Inca Trail, you need to reserve/purchase those tickets at least six months in advance, I believe. We wanted to go during the shoulder season to save money and avoid the biggest crowds; the dry season is May through October. That's how we ended up honeymooning months before our wedding! We paid our first deposit to Kuoda, booked our own air travel, and purchased travel insurance recommended by Kuoda. By the time our trip rolled around, we'd paid off the entire trip minus incidentals, which was our goal. I can't say enough good things about using Kuoda to arrange our trip. We knew we didn't want to rough it, so they helped us find reasonably-priced boutique hotels to stay at during the journey. They had someone meeting us at every airport arrival, on time and always with a smile. I am used to traveling, including internationally, so I don't really need my hand held through the process. But I really loved turning my brain off a bit and allowing Kuoda to take care of a lot of the planning and operations for us. It was probably one of the easiest vacations I've ever taken, because we could really lay back and just take it all in. Moon Handbooks Machu Picchu: This full-color book was PERFECT for our trip. In fact, which I didn't realize until we'd booked, all of the hotels we stayed at were in the book. Many of the restaurants recommended to us were in the book. And I don't mean that in a touristy textbook sense, but that the book is legitimately well-written and has a lot of great tips and recommendations. Kavu Rope Sling Bag: This bag is the one I carried daily, because it was lightweight and super comfortable. I was able to carry my waterproof rain jacket, DSLR, water bottle, and more small things in it, and it was easy to sling on my front or back depending on the situation. Canon T3i DSLR Camera, SD Card Lightning Reader, and iPad Mini: The camera is obvious (I even brought extra battery and SD card) but I was paranoid our epic photos could be lost somehow if something happened to the card or camera. So each night, I uploaded a copy of our photos to my iPad as a backup. All of our hotels had at least some Wifi coverage, so the iPad Mini was the perfect portable entertainment and communication tool to make sure our family (and cat sitter) knew we were okay. Waterproof Lightweight Jacket, Waterproof Hiking Pants, Comfortable T-Shirts, and Waterproof Hiking Shoes: This was my daily uniform. I wore an UnderArmour rain jacket that I could roll up into my bag when not in use. I wore lightweight Everlane t-shirts almost every day, along with a long-sleeve shirt and cardigan for layering. The waterproof hiking pants were both comfortable and functional when the light rain showers would happen. Lastly, the Merrell shoes I had were super comfortable for navigating the hills and cobblestones. I wore them every single day. I guess you could call my outfits "basic adventurer" or something like that. Even on the rainy days I was dry as a bone and able to adjust between microclimates. Bug Spray and Sunscreen (not pictured): My sister gifted us a small bottle of Coleman Botanicals bug spray, which was a non-aerosol, non-smelly, small (4 oz.) size perfect for the trip. We got the 3 oz. TSA-size sunscreens at Walgreens. Both were needed, especially the sunscreen; the higher the altitude, the closer to the sun! Don't let the cloud cover fool you. I think that it's great you guys paid the trip off before you left! Going into debt to travel is not a good idea lol. Can't wait to see all of your wonderful recap posts. And that Kavu bag seriously is magical!!! It's my new favorite for every vacation now I'm sure. You next Disney vacation you will wonder how you did it without your kavu. Phenomenal powers, itty bitty space.